Are you a plus-size bargain hunter? 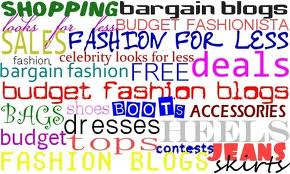 Just looking for a place to buy plus-size items at major retailers as well as specialty shops–but at a deep discount? Look for pieces that offer attractive mark-downs with these suggestions, which include higher end items that get their prices slashed at the season’s end. Newcomer on the plus scene La Grande Dame offers great clearance items, regular sales promoted by newsletters (sign up for savings! ), and lots of sneaky designer-specific sales. You’ll be thrilled at the savings on high-end plus selections from designers like Melissa Masse. Save a lot on specific clearance pieces marked down 75%! Gorgeous dresses go from $100 to $30, jackets sell for $25 from $80, and more. Check back the sale section regularly for the best finds, because they switch around without warning. If you stick to high quality, but hate to pay full price, Anna Sholz’s End of Season Sale section will make you smile. Prices get slashed drastically, and the items are wearable for season after season. The cost-per-wear alone makes these a smart pick. Have a peek in Alloy’s extended sizes, where they often mark down items pretty substantially early on in the season. Old Navy pieces are never-fail. You will find plus sales there with incredible discounts on tank tops, sleepwear, and more, and a simple Google search will produce coupons for additional savings, every time. I like to go to Retail Me Not for additional Old Navy coupon codes. Use new member discounts to save $15 on items that start at $29.95. Stock up on flattering scarves for just $10, and don’t forget to visit on a regular basis: their stock is constantly being replenished and updated. It might not have gotten off to the best start with all their mini dresses and leopard print, but Forever 21’s Faith21 offers affordable choices that are very style-conscious. You’ll find things most under $20, and it’s perfect for a quick date-night pick. Stock up on deep discounts, and check back regularly on Torrid for new sales–they can add hundreds of new sales items in a single weekend. This entry was posted in Fashion and tagged budget fashion, clearance, discounts, fashion, fashion on a budget, full figured fashion, plus size bargains. Bookmark the permalink.